There is no doubt in fact that Android is among the world's most popular and even most used Operating System for mobile platform. According To Quora's Report, there are around 67 million smartphone users in Indian, of which android market share over 90%. What is background data ? Did you notice whenever you turned on your mobile connection, all the message including Facebook, whatsApp, system updates etc., come into drop-down notification tab. So the question is, "where did these messages come from? ". Background data is one which let other applications to work behind your eyes. i.e., your applications can access internet to archive messages even if you don't open them. Almost all apps having internet connectivity use background data to enhance user experience. 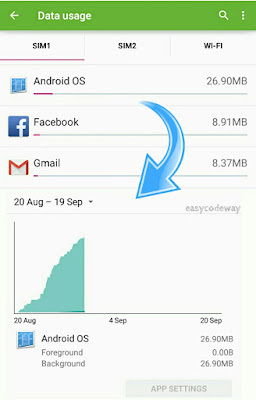 Using this, we can easily check how much a particular app is sucking your data as background. Well you don't need to download any manager from play store, this is already embedded in system. 1. Go to mobile settings. 2. Check For "data usage" option. open it. 3. Now click the app whose usage you want to check. In the next window you will be able to see foreground and background data. You can also analysis it with the help of graph. 2. Now if you are using latest lollipop version, click menu button available at the top right corner as show in below picture. Samsung mobile user can use external touch button to show available options. Still don't get it ?. Please let me know at the end of post. 3. Choose "restrict background data" option. 4. Now allow permission and you have done it successfully. By this method, you will be able get notifications whenever your data goes beyond your limit. For example: if you set your data limit at 50 MB, you will be notified whenever you data cross 50 MB. 3. Here you will find a horizontal line and some graph structure. Just start moving the line and you will be able to see data limit side by side as show below. Choose the appropriate one and save. Till now we have prepared around 70% . Now we will remove unwanted app that are simply useless. UC has many advantages over others. One of them is, it can automatically block extra popup's and can change layout format so as to provide user with simplest one. you can check it yourself by accessing google via UC And Google Chrome. simple preview of both is show below. This not only decrease load time but also reduce data usage. Moreover UC can also boost up your downloading speed. As I already told you, Instead of using different apps, use single browser and I personal recommend you UC. 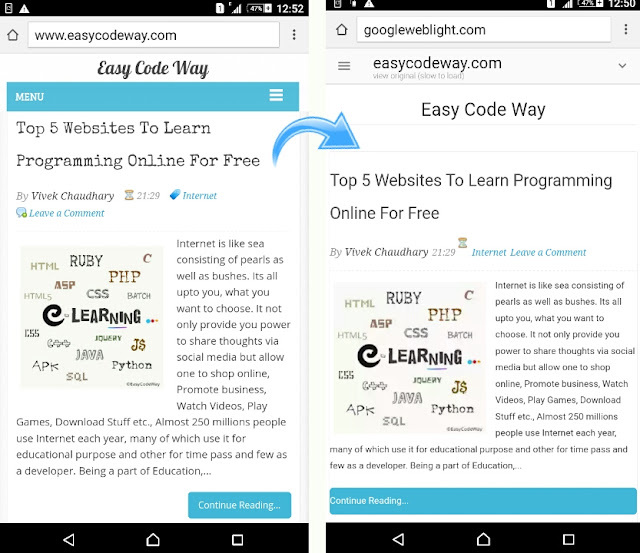 But if you are professional or use mobile for Business purpose, you can opt Google Chrome. 2. Check app performance by selecting one you want. The next window provide you information about foreground and background. 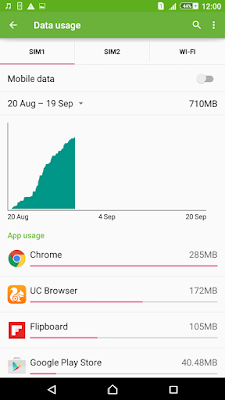 Foreground data is one which app uses when you are accessing it. It may be in MB's Or GB's based on your usage from the day you installed the app. Don't Confuse it with background. You can analysis data changes by picking up the dates from top right navigation menu. remove apps that have no use,can be accessed directly ( like Facebook one ) and uses high foreground or background data. 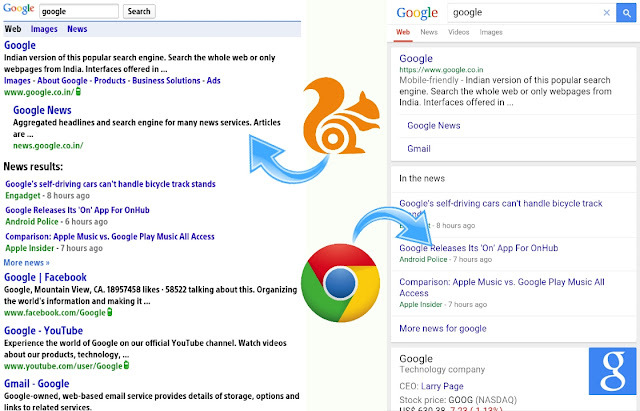 Google being the most loved search engine is always in way to improve his user experience. 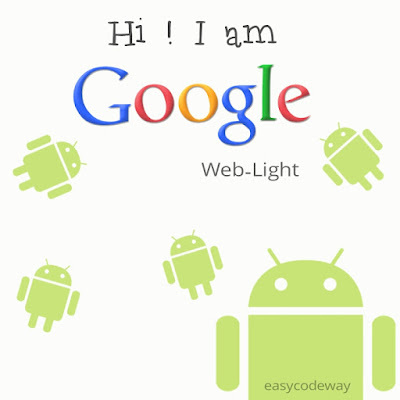 And this time Google has launched web light feature which let you load website 4x faster than normal. If you use 2G internet and have very low connectivity, Google can automatically detect it and when it do, all the websites you search from it will be loaded in web light mode. Well their is no fixed lower limit below which it works. It simply reduce all extra images and their size's, CSS styling, ads and present you with simple format. 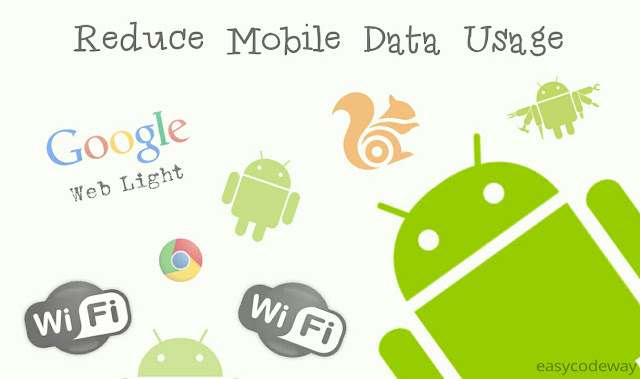 So above are the most helpful ways to reduce data usage. Follow all ways and you will find enormous descrease it your net connection bills. Below comment system is for you, if you need help dont Hesitate. Ask questions, i am always here to help you.